It’s no secret that we love matching and memory games around here. Do your kids enjoy this type of game, too? 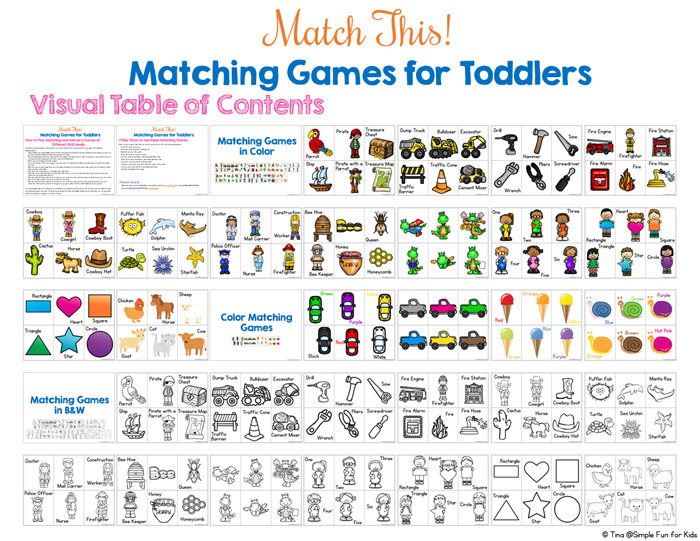 On my site, you’ll find a lot of matching games for toddlers and memory games for older kids, but a step in between had been missing until now: memory games for (younger) preschoolers. So I made this Valentine’s Day Counting Memory Game for Preschoolers to fill the gap. If you play with two copies of one page of nine cards, the base number of matches is perfect for a young preschooler’s attention span. But since there are five different pages of nine cards each (covering numbers 1-9), you can easily add more matches or a whole new dimension when allowing matches that show different ways to represent the same number. The printable file includes five pages of nine memory cards each. Each page can be used on its own or mixed and matched with cards from other pages. On the first page, the cards show a numeral, the corresponding number word, and the matching number of cute Valentine’s-themed items. The second page shows numbers 1-9 represented with the same items but no numerals or number words. On the third page, you’ll find a numeral and the matching number word from 1 through 9 on each card. 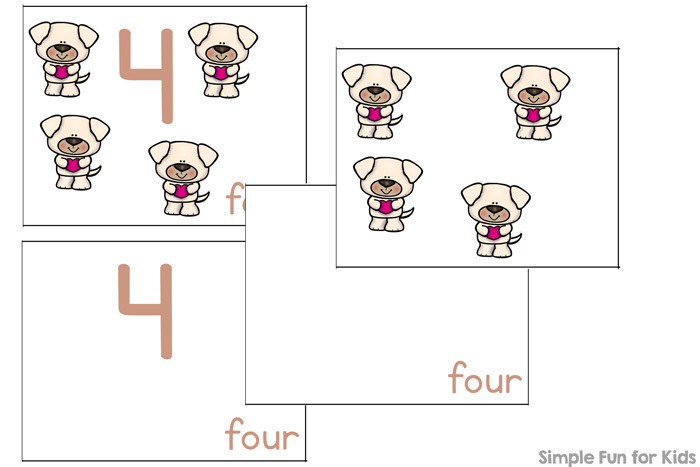 On the fourth and fifth page, each card has ONLY a numeral OR a number word. You can choose to play with cards from as few or as many pages as you want. Match identical images or different ways to represent the same number. There’s no need to only have two cards that can be matched, either, as long as you stick with an even number. 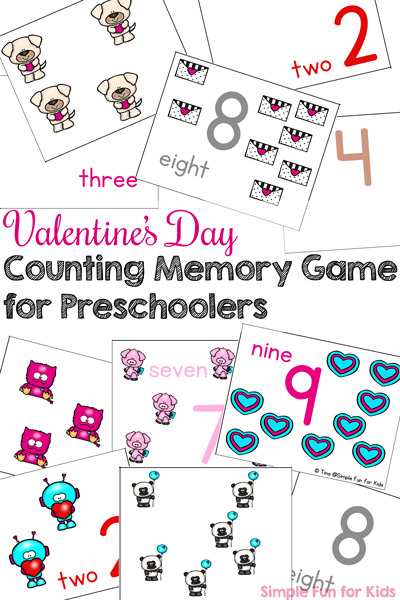 Download your Valentine’s Day Counting Memory Game for Preschoolers! Are you looking for other simple Valentine’s Day activities? I’ve picked out a few for you!